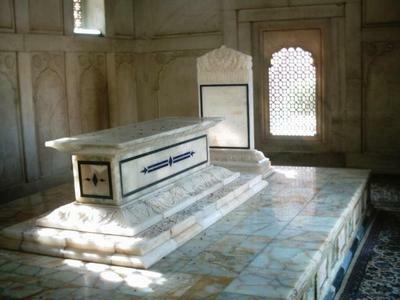 Tomb of Allama Iqbal (1877-1938), Lahore – Photograph 2005 By Ali Imran Via Wikimedia Commons. The Muslim fasting month of Ramadan began on July 20 and will end on August 17 or August 19 (depending on lunar observations around the world). Muslims will donate for relief of the poor during Ramadan, but they will be especially generous after its end, during the first three days of the succeeding Islamic month of Shawwal, in a holiday called Eid Al-Fitr (the Festival of Fast-Breaking). In Pakistan, unfortunately, the benevolent intentions of Ramadan charity (zakat and fitrana—money and food) have been and are being used to support operations and recruit combatants for jihadist terror in their own country as well as in Afghanistan and Kashmir. On July 23, Pakistani authorities prohibited collection of donations by banned radical Islamist factions during the fasting month and Eid Al-Fitr. Pakistan's jihadists, however, evade official sanctions by renaming themselves unceasingly, adding a bewildering array of occasionally-redundant acronyms to the South Asian terrorist spectrum. If the situation is confusing, that is clearly intentional. Pakistani officials appear stymied by the versatility with which terrorists reinvent themselves, at least by title. On July 28, the al Qaeda-allied Jamaat ud-Dawa (JuD—Community of Preaching) appealed via a Twitter account for donations of cash, ambulances, medicines, and food. JuD is a front for the powerful and world-spanning jihadists formerly known as Lashkar-e-Taiba (LeT – Army of the Righteous). LeT was classed as a terrorist organization by the U.S. government in 2001, a decision reaffirmed in 2003. It was active in the United States through the so-called North Virginia "paintball jihad" network, whose participants were sentenced in 2003-05 to federal prison for violations of weapons and terrorism laws. In November 2008, the Mumbai terror attacks in India were blamed on LeT, and LeT was again listed by the State Department as a Foreign Terrorist Organization. The United Nations Security Council named JuD as LeT's public facade, subjecting JuD to a freeze of its assets and travel ban on its leaders, in December 2008. LeT is also outlawed in Pakistan, India, and the European Union. But JuD, supposedly independent of LeT, claims its activities were not prohibited in Pakistan. In 2011, Pakistan acted to limit charity donations for extremists during Ramadan. Officials in the province of Sindh suppressed 25 illegal organizations, and in the province of Punjab closed 22 jihadist entities. JuD's intake last year was described as "comparatively feeble." Still, the game of renaming had already begun. LeT and JuD reappeared as Tahreek-e-Hurmat-e-Rasool (THR—Path of the Prophet's Honor) and Falah-i-Insaniat Foundation (FIF – Human Welfare Foundation). FIF was added to the list of LeT terrorist cover names by the State Department in 2010. Then, last November, the Difa-e Pakistan Council (DPC—Defense of Pakistan Council) was established, grouping 34 Islamist parties against transit of NATO supplies to Afghanistan and opposing improvement of Pakistani relations with India. LeT/JuD is a leading force in the new alliance, and the jihadist parties clearly feel confident they can resume their financing and enlistment of terrorists with impunity. DPC excludes women from its political activities, and has threatened secularists and media. It shelters most of Pakistan's radical religious forces, notwithstanding that many of them are supposedly illegal. In another example of the verbal camouflage practiced by Pakistan's Islamist extremists, Jaish-e-Muhammad (JeM—Muhammad's Army), which organizes attacks in Kashmir, is categorized as a Foreign Terrorist Organization by the State Department, and was prohibited by Pakistan in 2002. But JeM has been renamed as Tehreek-e-Khuddam-ul-Islam (TKI—Movement of Servants of Islam), with a fundraising arm, the Al Rehmat Trust (ART—Mercy Trust). In addition, the Al-Rashid Trust (also ART, but meaning The Righteous Trust) in Pakistan was banned as al Qaeda-associated by the United Nations Security Council and designated a financier of terrorism by the U.S. Treasury almost immediately after the atrocities of September 11, 2001. The Al-Akhtar Trust (AAT—Star Trust), was identified as a Pakistan-based financier of terrorism in Iraq by the U.S. Treasury in 2003. The Al-Rashid Trust and Al-Akhtar Trust are charity fronts for the Tahreek-e-Taliban Pakistan (TTP), al Qaeda, the Afghan Taliban, JeM, and another radical movement aimed against the Indian-controlled zone of Kashmir, Hizb ul-Mujahideen (HuM—Party of Mujahideen). The Al-Rashid Trust then refounded itself as the Al-Amin Welfare Trust. The Al-Akhtar Trust was reorganized as the Pakistan Relief Foundation or Azmat Pakistan Trust. The U.S. Treasury took note of the renaming of both Al-Rashid Trust and Al-Akhtar Trust in 2008. Some leading jihadist formations suppressed in Punjab last year for their involvement with the Pakistan Taliban and al Qaeda, according to the Pakistan daily Express Tribune, held an open conference last month in Rawalpindi, near the national capital, Islamabad. The event featured speeches by JuD representatives. Bakht Zameen Khan, head of a radical splinter group, Al-Badr Mujahideen (named for a battle under Muhammad's command in the early Islamic period), declared, "Our commanders in Kashmir and Afghanistan say they will carry out big attacks if they are provided with resources. They have the spirit but they are facing a shortage of supplies." Al-Badr Mujahideen broke away from a larger terrorist group assaulting Kashmir, Hizb-ul-Mujahedeen (HuM—Party of Mujahideen). Similarly, Kashmir-focused jihadis in two other groups renamed themselves. Harkat-ul-Mujahideen (also referred to by the acronym HuM—Mujahideen Movement) became Ansar ul-Umma (AuU—Volunteers for the Global Islamic Community), and Jamaat ul-Furqan (JuF—Community of Morality) reemerged as Tehreek-e-Ghalba Islam (TGI—Movement for the Triumph of Islam). Pakistani authorities are trying to repeat last year's success in reducing Ramadan donations received by terrorists. In addition to the chameleon-like assortment described above, they hope to block financing and food gifts to the non-violent but radical Hizb-ut-Tahrir (HuT—Liberation Party), which agitates transnationally for a global Islamic caliphate, and two bloodthirsty anti-Shia organisms, Sipah-e-Sahaba Pakistan (SSP—Knights of the Prophet's Companions) and its offshoot, Lashkar-e-Jhangvi (LeJ—Jhangvi's Army). SSP has adopted a new title, Millat-e-Islamia (MeI—Islamic Creed). LeJ is named for SSP's founder, a notable anti-Shia bigot, Haq Nawaz Jhangvi (1954-1980). Pakistani extremists have demonstrated considerable cleverness in their campaign to exploit the spiritual cleansing and community generosity associated with Ramadan, to support death and destruction on their own soil and in neighboring countries. Islamabad's obstruction of NATO's role in Afghanistan enables radicals to ignore measures taken against them. Pakistan remains a country in deep crisis, where efforts to prevent terrorism may too often, it seems, be reduced to, and circumvented by, words alone.